As the 50 milers set out for their journeys at 6am Sat April 25th 2015 no one could have foreseen the weather band that was headed its way towards the park. Shortly after the 50k/25k runners took off at 7am the sky began to darken and the pressure started to drop. As the time neared 7:15am the wind started to pick up and the rain began to fall heavy and hard. As the rain came so did the hail, with more wind and even more rain.. The 10k start was moved from 8am to 8:30am to allow time for the band of weather to pass over the park and for lighting to pass as well. As the clock ticked off to start the 10k runners the course that was would never be the same all day. 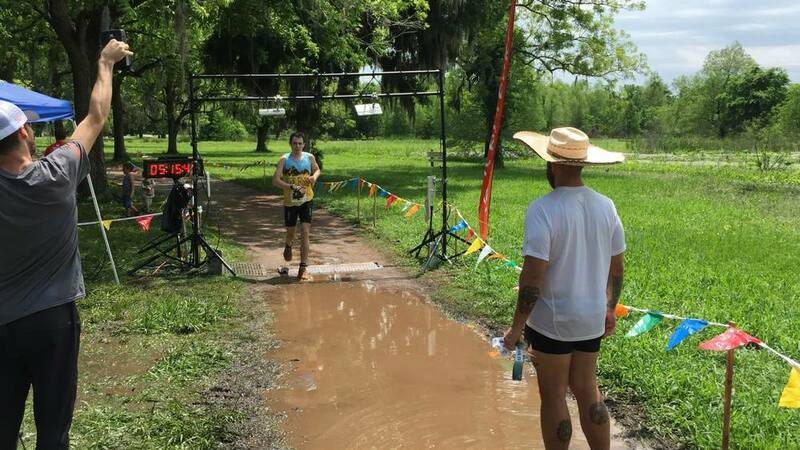 The Brazos Bend 50 is known for the being one of the fastest trails in the United States and even on a muddy day some still found a way to conquer the course with a PR. The course held up well in some areas and other areas were known as slip-n-slide zones all day. Many of the runners post race told me how much fun it was to play in the mud and how they felt like a kid all day long. Well the greatest part of endurance events is the "endure" portion of the day. With any trail run you never know what the day might throw at you rather it be weather, blisters or alligators. To finish what you started you must continue to put one foot in front of the other. The official count of registered runners for the event was 704 which makes the event on of top 5 trail races attended in Texas Trail Running. 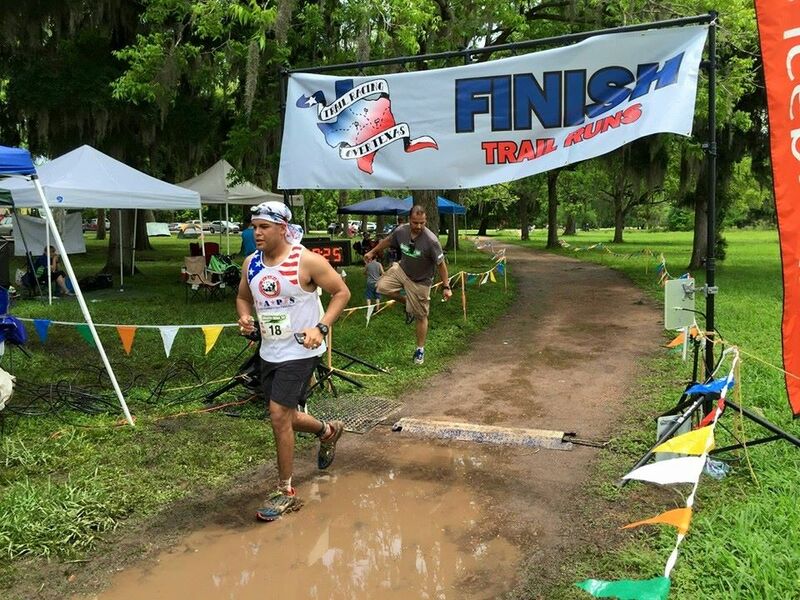 The official results for the Brazos Bend 50 where posted on Ultrasignup and can be found HERE. The top 3 male and females for the 50 mile distance are listed below with times as well.